Hey guys, this is my first post after just signing up. 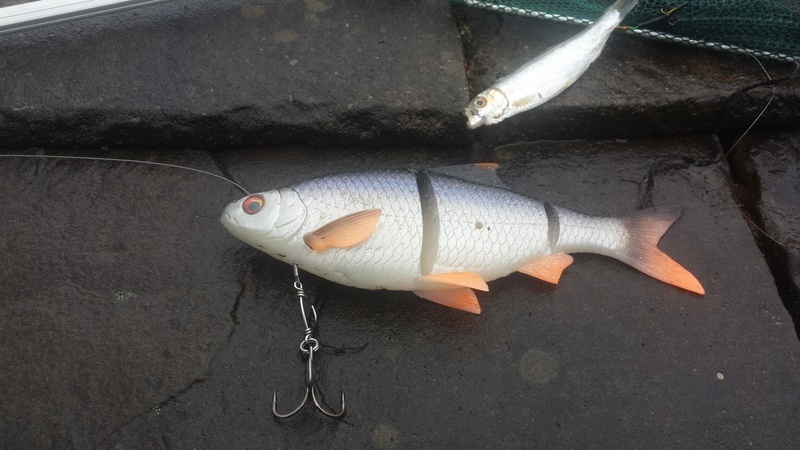 I have been pike fishing on Huddersfield canal for the past couple of months and have had a bit of luck but mainly blank days. I have tried dead bait on float and luring with jerk and swim baits. i start around half 2 every day as i walk the canal from work and take a light tackle bag and rod and spend till about 5 or 6 most days but recently been blank days. I use a variety of lures such as the fat bodied beaked bright coloured ones, life like rubber 3 piece lures, beaked 5 piece and soft. Since the beginning of november i have been stopping after work every day for these few hours and only caught 2x 5lb, 1x 2lb and a baby. Thats over 60 days and only 4 pike, can you guys help? The areas i fish have lots of locks,barges and warehouses with not a lot of feature areas and about 1 foot on the margins to about 4 foot in the middle. What ever questions,info or answers you have will be greatly appreciated. Edit: and thanks for having me on here, this will be my new home for pike online. welcome to the sight mate. firstly i have removed the name of the canal as we have a no naming waters rule on here. that out the way, are you sure better pike live in the canal? have you seen others catch good size pike. have you tried fishing at first light with deads? if your not catching in the afternoon maybe they are feeding in the morning. Thanks for the edit mate. I have seen people up and down the canal picking decent sizes out, even a 20lb. Its not the size i care about too much, every pike is as amazing to land as another, it just seems to be dry all the time and i put my work in. I havnt tried dawn or dusk as doesnt go with my work times. I have tried both dead bait and luring near the edges,side of barges and through the middle. Is dropping the dead bait in an area with under water weeds or open in plain sight? when luring is it best at the margin or right across or down the canal? cant help with lure fishing, not my thing bud, but a dead bait in cast out for 15min is plenty of time for a run, cast a dead out on a float while lure fishing, cast the deads to edge of weed beds and along barges, anywhere a pike could ambush from. Hi mate. I tried your ideas and still nothing. i moved around a bit and tried different areas with different dead baits. I bought some sardines and herring on my way back, got some of my flavour glug i used for boilies from my carp trips last years and scored the fish with a knife and rubbed into and over the fish and returned to the freezer, lets see if that makes a difference. HDangler wrote: Hi mate. I tried your ideas and still nothing. i moved around a bit and tried different areas with different dead baits. When you are dead baiting what setup do you use ? and where are you setting the bait at ? mid water ? bottom ? or near surface ? 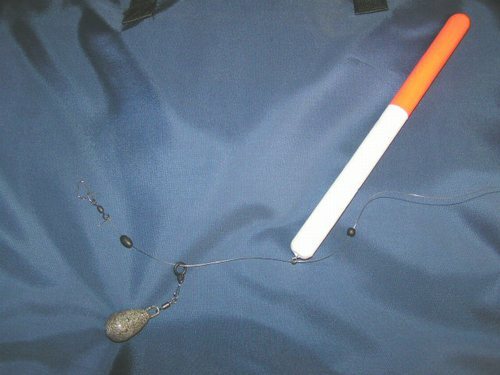 I use a line through float with ledger at the bottom and one heavy ball under the float. I usually cast into the middle or near a barge, Wheres best? I havnt thought of dying the fish, is red the best colour for pike? Luring is still not working, had 1 turn on my lure at the edge but didnt take, i know they are there, just not having it for some reason. HDangler wrote: Hey guys, this is my first post after just signing up. 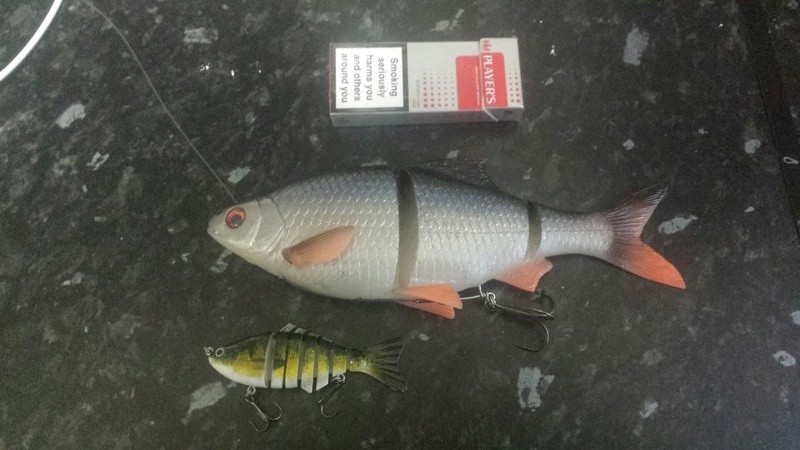 ive been using a drifter float set up on the canal i fish ive caught 3 times this week 1 good fish the rest jacks.ive been fishing boat yards as its wear all the bait fish are shoaling up at this time of year.try just getting to the boat yard type of areas and try fishing a small bait such as a sprat or small roach something very silver and shiney as canals are murky water ill try and get u a picture of a drifter float set up. Been out again today and nothing. Dead bait (Sprats) at my feet in the canal and not a nibble. the lure is still drawing blanks. Match fisherman on the other side were complaining the pike were pulling on there keep nets trying to get the fish lol. Have you tried simple wobbled or twitched dead bait? 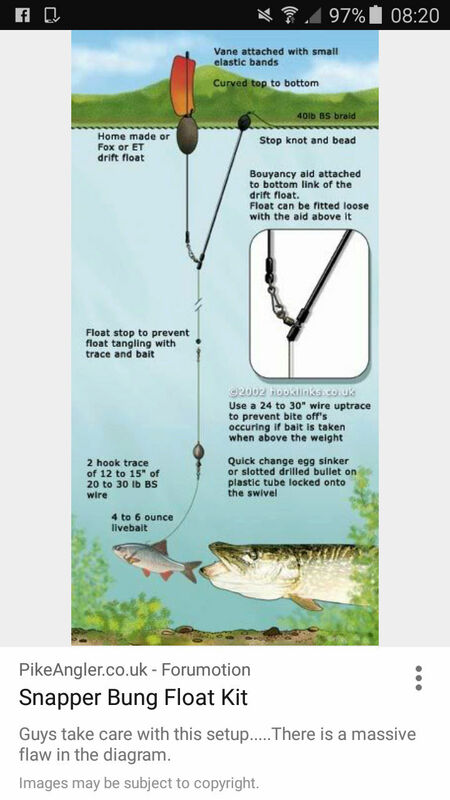 I've found it can be much more effective than both lure fishing and static baits. My favourite is a sprat, just stick a swan shot above it to aid casting and away you go. If you know areas that bait fish are being caught, you can target those areas. HDangler wrote: Been out again today and nothing. Dead bait (Sprats) at my feet in the canal and not a nibble. the lure is still drawing blanks. sounds like you need to try live bait where the match men was fishing pal. ill give that wobbling with a sprat tomorrow, do i retrieve it like a lure or simply pull every now and then. Cheers for the lure advice, i do try slow as possible but ill try slower, i use swim bait and crank baits so should be fine. HDangler wrote: ill give that wobbling with a sprat tomorrow, do i retrieve it like a lure or simply pull every now and then. 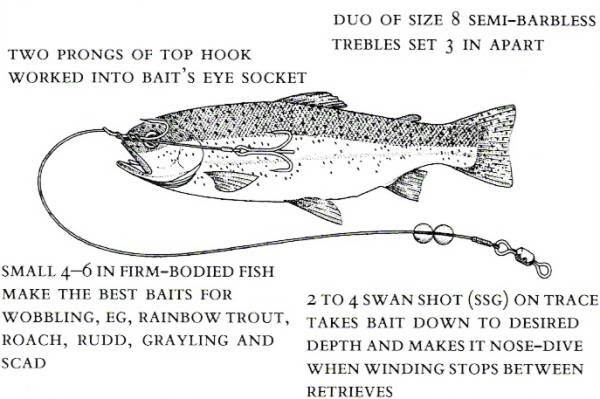 Do you mean turn the fish around not the hooks, as in first hook through the mouth and second through the tail? Cheers mate, ill get back to you tomorrow on my results. Hey guys, Nothing as such today aside from my float went under, maybe a fish caught the line and no marks on returning it to the surface. I have got some sprats today in a sandwich bag with red dye in, ill give that a go tomorrow. Hey, Yeh they are cool, i have the 20cm albino trout version, who ever lost that was fishing for a monster. Ill see if my spinning rod will take the weight, its a bit lump of a lure.